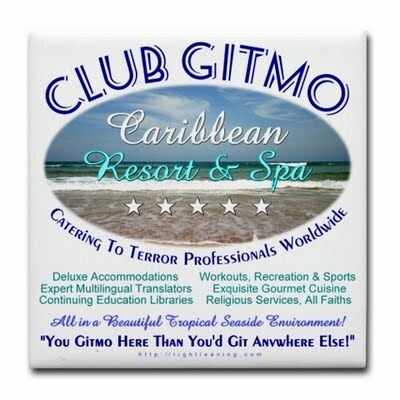 Gee, I thought they already had a resort at Gitmo? The Obama administration plans to detain international terrorism suspects to a 5,0000 acre U.S. military base on the outskirts of Kabul, Afghanistan. The prison facility at the Bagram Air Base has been constructed at a cost of $60 million to American taxpayers. Holding suspects captured outside Afghanistan at Bagram Air Base would create another prison serving the same purpose as the one President Barack Obama has pledged to close in Guantanamo Bay, Cuba. The new facility offers detainees spotless cells with fresh linen, clean blankets, and, of course, their personal copy of the Quran. 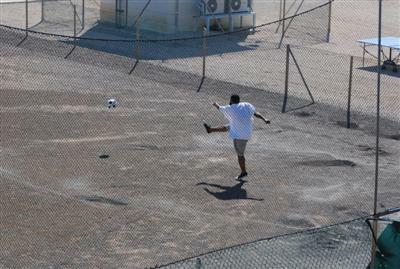 The prisoners can spend their time playing soccer on a newly created soccer field, watching newly released movies, attending religious classes (Islamic, of course), napping, or conversing with friends, relatives and fellow jihadis through video links. The cost of maintaining the prison is $5 million a year, but this figure does NOT include the cost per detainee. Despite the exemplary treatment granted to the detainees, Taliban prisoners regularly throw feces and spit at visiting dignitaries and US military personnel. Consideration of the plan, which needs Obama’s approval, is an indication the administration has few other places to hold and interrogate foreign prisoners outside the U.S. court system, senior administration officials told the Los Angeles Times. This video by the far, far left Democracy Now! group indicates that there are already enough prisons in Afghanistan. Take this with a grain of salt, although hopefully, their claims of torture are true.